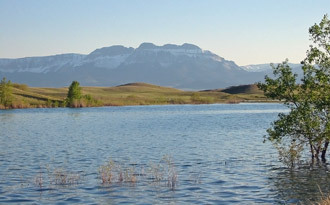 Central Montana, despite most sections lying out in the prairie, has many lakes. Most have been created by dams on the regions various rivers and lakes, providing irrigation for the areas farmers and ranchers. Few anglers from out-state ever visit these lakes, providing an angler on a Montana fly fishing trip the opportunity to visit places few people ever see. All of the lakes listed in this section have fish, although most are of the warm water variety consisting of northern pike, walleye, perch and catfish—although good rainbow trout fishing is found at several reservoirs. 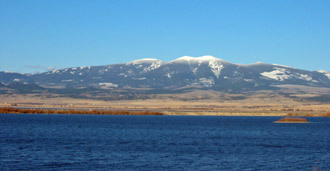 Access to the lakes in central Montana is by and large excellent, with designated fishing access sites existing on all of them as well as extensive un-official access sites. 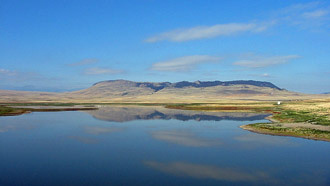 Considering how remote central Montana is, most of these lakes are quite isolated and require an effort to reach them. While none of the lakes in central Montana top a out-state anglers destination list, a side-trip to one of these lakes should not be overlooked. 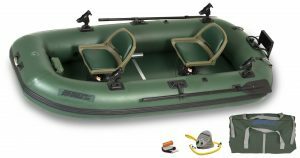 Many lakes are quite scenic and provide decent fishing, especially for the angler who has a fishing boat of one type or another. These lakes also generally have good campsites—which is good since most lakes are located a long way from the nearest lodging. Bean Lake is a small but scenic lake that lies along the Rocky Mountain Front. 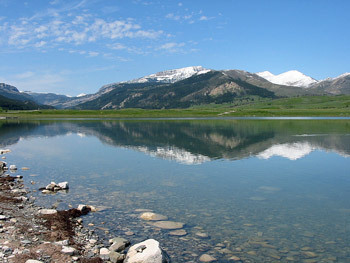 Lying along the Rocky Mountain Front, Bynum Reservoir offers fair fishing for trout and yellow perch. 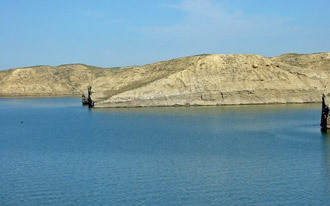 The reservoir often has very low water levels by late summer. 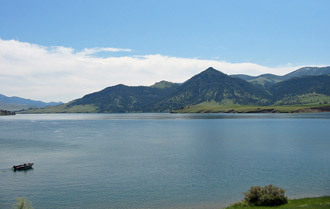 Canyon Ferry Lake is the most popular lake in Montana, and receive heavy use from anglers and recreational boaters. 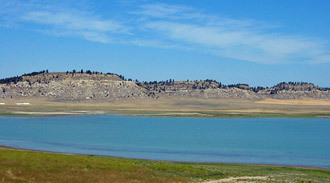 Deadman’s Basin Reservoir has decent fishing for both rainbow and brown trout, but often is very low later in the summer due to irrigation. 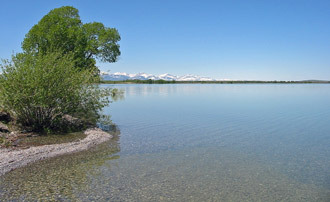 Holter Lake has very good fishing for rainbow trout, as well as walleye and perch. 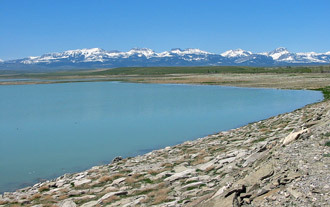 Located in a very remote part of Montana, Martinsdale Reservoir is stocked yearly and provides surprisingly good fishing for larger rainbow trout. Pishkun Reservoir is a 1500 acre reservoir along the Rocky Mountain Front that provides fishing for pike, perch and rainbow trout. Tiber Reservoir lies in a very remote setting and offers fishing for northern pike, walleye, perch and catfish. The lake is also popular for recreational floating on summer weekends. 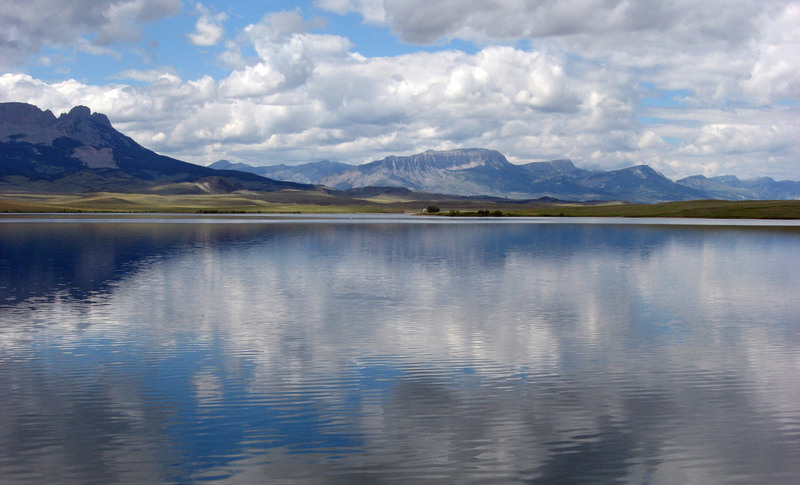 Stocked yearly with rainbow trout, Willow Creek Reservoir has very good fishing in a scenic setting along the Rocky Mountain Front, near Augusta.